One of the benefits of having written a book on beekeeping is I occasionally get invited as a presenter to speak to groups of beekeepers. Now normally I avoid flying due to concerns about the environmental impacts of air travel, and the violation of my constitutional rights by prodding, prying and groping TSA agents, however, it was in late March 2015 at the tail end of one of the coldest snow-covered Winters the northeast U.S. has experienced in many years, that I found myself boarding a flight destined for the island of Bermuda. With a landmass of 21 square miles (54 Sq. km), Bermuda hosts a population of 65,000 people. Temperatures are fairly constant year around rarely ever dropping below 45⁰F (7.2⁰C) or rising above 95⁰F (35⁰C). Tropical plants grow in abundance all over the island and a yearly honey harvest of 125 pounds of honey is not uncommon. Bermuda appears to be a beekeeper’s paradise and, in some ways it was before the Varroa mite was first discovered on the island in 2009. No one knows for sure how the mite made it to the island located 650 miles off the North Carolina coast. The only bees that had been imported onto the island in recent memory were queens from Hawaii. These queen shipments were promptly discontinued however, once Varroa was found in Hawaii in 2007. Since then no bee importations have been allowed. This has created a challenge for the island’s beekeepers since the only way they can increase their hive numbers is to either make splits or nucleus colonies and let the bees raise their own queens, or capture swarms. 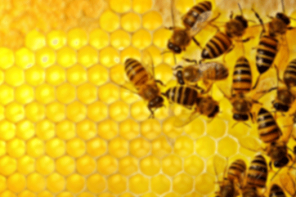 Government of Bermuda statistics indicate that while the average value of the island’s honey crop was over $170,000 between the years 2000 and 2009, that figure had dropped to just $50,000 by 2010. The number of managed hives on the island has also dropped from a high of around 350 to somewhere in the range of 60-70 and the number of beekeepers has dropped from about two dozen to approximately 14 today. All these declines are primarily due to the mites. This has created a situation where the typically strong demand for local honey on the island has increased something fierce. Having learned from the experience of other countries, Bermuda’s beekeepers want to avoid the synthetic pesticide chemicals that have led to resistant mites and contaminated combs and many initially turned to the Mite Away Quick Strip (MAQS) formic acid treatment. 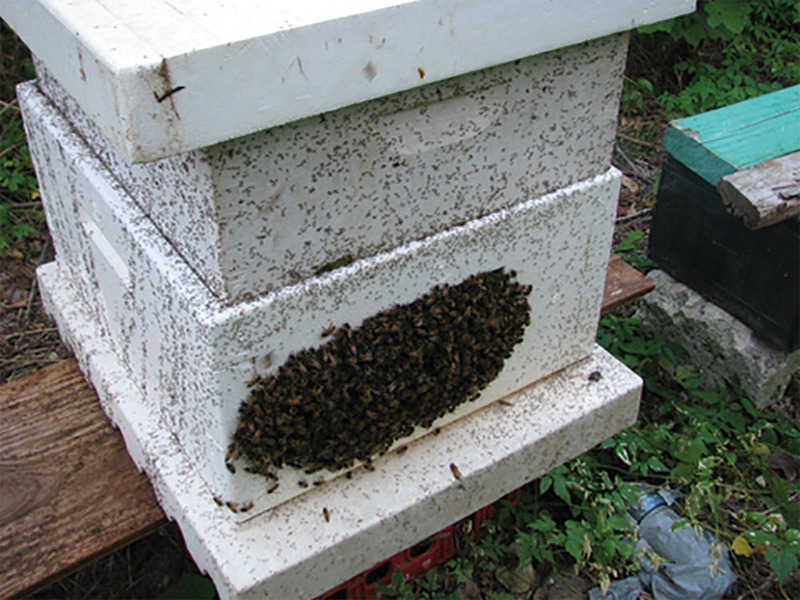 The application of the treatment unfortunately occurred during a time of high temperatures and humidity which caused many of the bees to abandon their combs and beard up on the outside of some of the hives (see photo). This treatment just happened to coincide with the arrival of a hurricane, and the accompanying rains that saturated the ground caused the Argentine ants to come up out of their underground nests. Since the strong winds of the hurricane had stripped much of the island’s vegetation bare of fruits, flowers, and leaves, there was little food available for the ants so they ended up moving into the hives that the bees had been forced out of. This caused the bees to abandon their hives altogether, absconding and increasing beekeeper’s losses even more. As a result, many of the beekeepers on the island have understandably become apprehensive about the use of mite treatments and prefer not to treat their bees with anything to control Varroa. This was the situation when a group of concerned Bermudans came together in August 2013 and formed The Buzz, under the auspices of the Bermuda Environmental Sustainability Task Force (BEST). 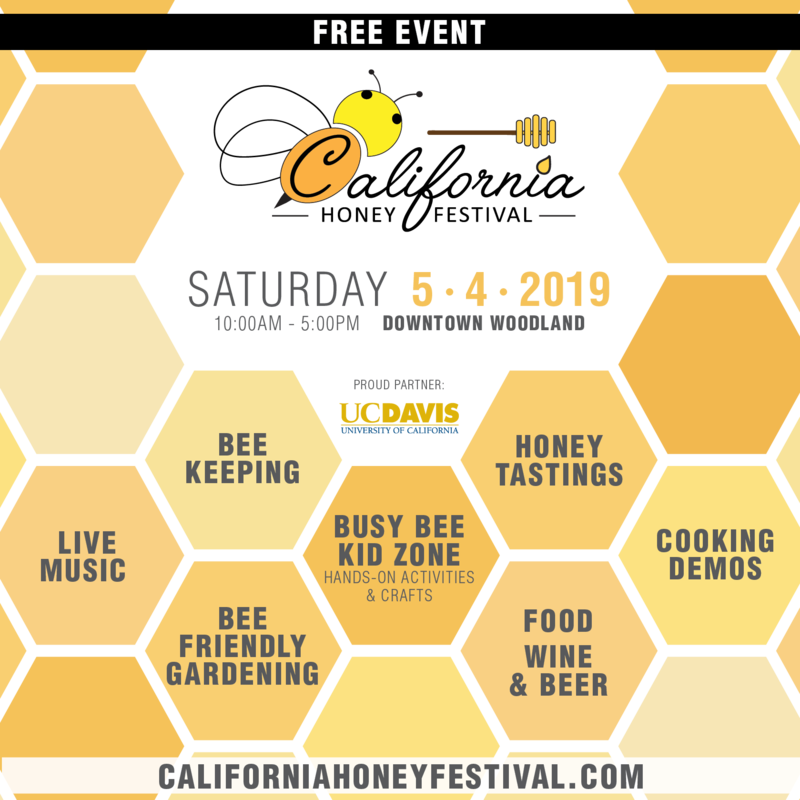 This small group’s first event, in an effort to help address the threat to bees in Bermuda was a “Keep Bermuda Buzzing” bee fair that was held in April 2014 to educate the public about the importance of bees and the skills required to keep and promote their propagation. 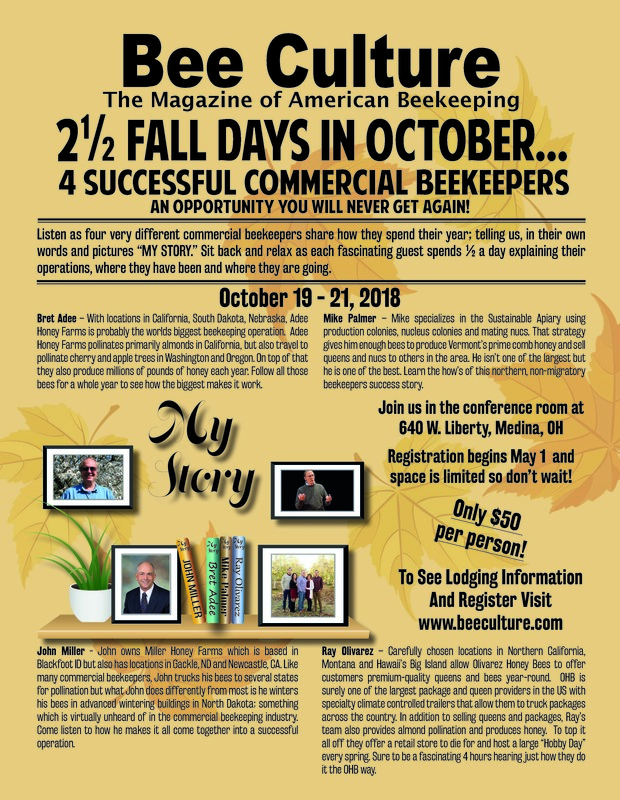 Kim Smith of BEST invited me to visit the island and share the experiences of beekeepers throughout the United States that are managing to keep the majority of their bees alive year after year without treatments despite the presence of Varroa. I found the beekeepers and people of Bermuda to be wonderfully friendly and full of a warm hospitality that rivals their sub-tropical climate. My primary guide while touring Bermuda and visiting the island nation’s beekeepers was Tommy Sinclair, Agriculture Officer with Bermuda’s Department of Conservation Services, President of the Bermuda Beekeeper’s Association, and the island’s unofficial bee inspector. Although historically Bermuda was an agrarian society with about 3,000 acres of cultivated land in the late 1800’s and early 1900’s, today there is less than 400 acres of land in agricultural production. Thus, most honey bee forage comes from backyard gardens and wild plants. 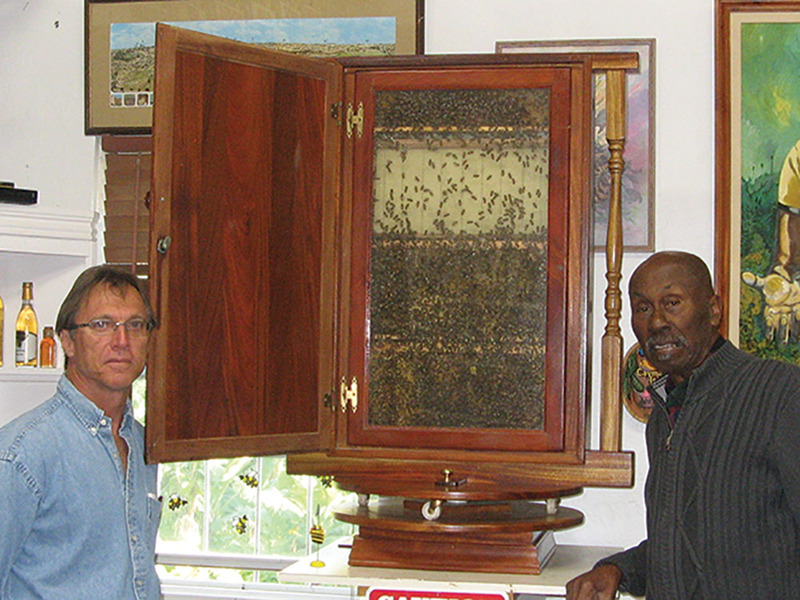 According to Tommy, Bermuda’s beekeepers often enjoy two honey harvests a year. The first nectar flows coming out of winter begin around the end of March and finish with the first harvest at the end of July. The Fiddlewood tree, Bermuda palmetto, and some Brazilian Pepper (aka Mexican Pepper to the locals) are the main nectar sources along with minor contributions from Bottlebrush and Pigeon berry. These plants produce a “summer honey” that tends to be fairly light in color. Giant toads like this one can eat a lot of bees so hives in Bermuda tend to be kept on stands 16 or more inches off the ground in order to prevent the toad from having easy access to the colonies. The months of July and August are too hot and humid for many of the island’s plants to produce much in the way of nectar. However, a strong late nectar flow from the Brazilian pepper and a second Fiddlewood bloom in some years, between mid-October and the end of November produces a darker honey that is the main harvest on the island. While things are still green and some plants are blooming between November and the end of March, the nectar that dribbles in here and there is not enough to sustain hives over the winter so a medium super full of honey is typically left on hives to prevent starvation. Along with Varroa, Bermuda’s beekeepers have to deal with many of the other pests and diseases that the beekeepers in other parts of the world regularly contend with. These include American foulbrood, European foul brood, Chalkbrood, Nosema, Deformed wing virus, Black Queen Cell Virus and wax moths. 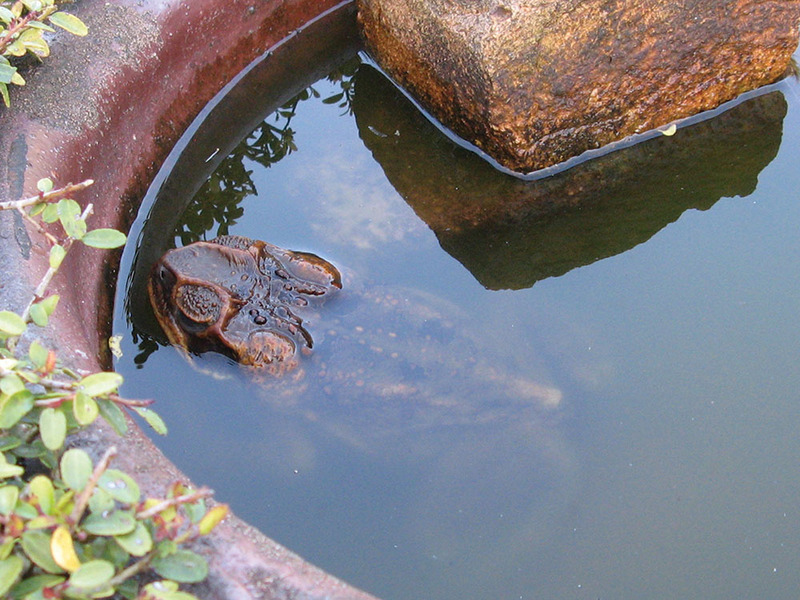 In addition Bermuda’s bees have to deal with Giant toads and a lizard called the Jamaican Anole, both non-native pests. As mentioned above, ants can be a big problem so some beekeepers will set the feet of their hive stands in moats of water or oil to try to keep the ants at bay. Unfortunately, if the moats are too small, the ants simply keep attempting to cross it eventually filling up the moat with enough dead ant carcasses that the rest of the ants are able to walk across the bodies of all the dead ants and reach the hive. Thus, more and more beekeepers rely on grease to keep the ants at bay, though in some instances grease designed for high temperature applications needs to be used to keep it from melting in the heat of Summer. For smoker fuel many of the island’s beekeepers do what beekeepers in other countries do, they use whatever is lying around and will burn well. 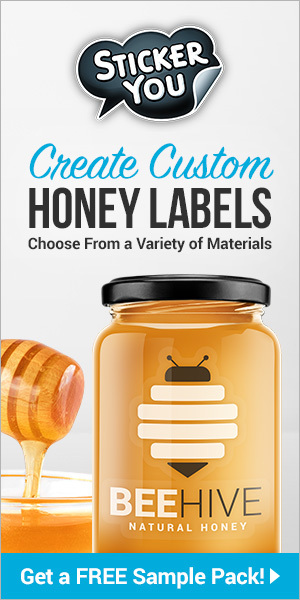 In this case banana leaves, palm thatch, cedar wood and/or bark from the endemic Bermuda cedar are all items that can be typically found in or near a beeyard and used to produce an abundance of smoke for working bees. I had the opportunity to speak with the islands entomologist, Claire Jessey, who also acts as the government’s plant protection officer and as such is involved with approving pesticides for use in Bermuda. Due to the mounting evidence of the harmful impacts to bees from the neonicotinoid family of pesticides, all new applications for neonics have been restricted there with only previously approved products allowed on the island. The government is now considering the idea of revoking the use of these pesticides for homeowner use as well. So given the fact that the beekeepers in Bermuda do not want to use toxic synthetic chemicals to control varroa mites, most of the beekeepers are ambivalent about using softer chemical controls such as organic acids or essential oils, and doing nothing is pretty much a sure road to the elimination of beekeeping there, what’s a island nation to do? One idea being considered according to Claire Jessey, is to allow the importation of queens that have a scientifically proven level of mite tolerance such as Varroa Sensitive Hygiene (VSH) bees. While this would greatly increase the limited genetic diversity of the remaining bees on the island and introduce genetic traits that are proven to help, experience elsewhere indicates that it is unlikely to solve the mite problem on its own. This path also harbors the risk of introducing new pathogens or pests to the island however, and will have to be carried out very carefully if followed. • Using screened bottom boards so that mites that lose their footing and fall to the bottom of the hive are removed from the hive. • Making regular splits, or nucleus colonies in order to break up the breeding cycle of the mites and slow down their population growth during the year. • Regularly rotating out old combs in order to keep the comb in the hive relatively free of disease organisms and toxic pesticide contamination. • Regularly trapping and removing mites, or culling capped drone brood from the hive in order to also remove Varroa that are in the act of reproducing. As mentioned above, none of these cultural management measures are typically enough on their own to keep a colony alive year after year without mite treatments of any kind, but when combined, especially with bees that have some level of tolerant genetics these management treatments are proving themselves to be a viable alternative to having to place foreign substances in hives in order to deal with mites. At minimum, at least three of these measures must be used for reasonable results most of the time. Combining four of these management treatments provides better and more consistent results, while using all five measures (including tolerant genetics), will consistently offer the best chances for survival. One other possible option, other than doing nothing, is to gamble on the fact that it is likely that the remaining bees in Bermuda are colonies that have at this point been naturally selected to exhibit some level of mite tolerance since the most vulnerable colonies will have theoretically been killed off. Aggressive splitting and breeding from these remaining hives has the potential to lead to an isolated strain of mite resistant bees on the island, while the act of making nucleus colonies and spits will help interrupt the brood cycle of the mites and slow down Varroa’s population growth at the same time. Ross Conrad is the author of Natural Beekeeping: Organic Approaches to Modern Apiculture, Revised and Expanded 2nd Edition.